The Future Of Robotic Assistants Looks Promising, And Cute! 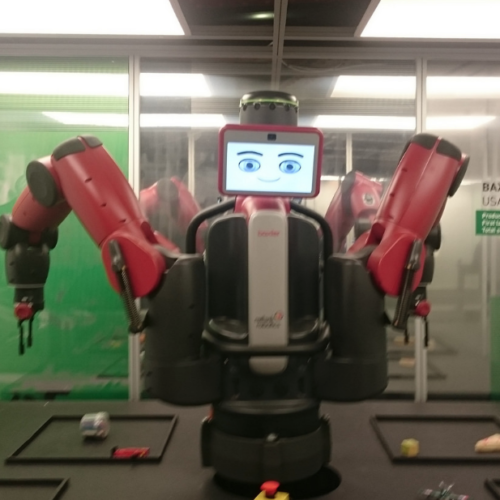 Robopin is Fujitsu’s latest entry into the vast world of robotics. It has been designed as a friendly looking observer and informer. It has a single eye camera, a round head and flipper penguin like arms. The idea was to make it appear as approachable as possible and who wouldn’t be drawn to something so cute? Japanese media were among the first to be flocking to see the bot unveiled. Currently, Fujitsu is looking at giving Robopin a trial in Taiwanese Family Mart stores. They are supposed to work as a draw to certain products, informing customers where a product can be found along with other information such as price. This is likely to create a very commercial feeling around the places they are stationed. They can also be beneficial to the large elderly population of Japan according to Fujitsu, acting as a companion while going about their days. They think they could be very useful in care homes and are looking to place them in some as well as in other often lonely places. Another massive, mostly unprecedented, aspect of the Robopin is the emotional abilities they possess. Of course, it is not actual emotion although, that is likely to be possible in the future. However, they are capable of making gestures such as head nods, waves and changing colour to indicate a reaction. Although they all look the same, Fujitsu has aimed to make it feel like a unique interaction with each one you talk to. What Other Ways Can They Be Used? There is a multitude of uses for these little guys, in one way or another they will help in practically any situation or setting. They could potentially be very useful for supplying information in general, maybe at reception desks. It has also been suggested that they could potentially be used for police business, as well as in hospitals and other medical institutions, working as an observer and passing on information. Obviously as optimistic as the whole thing seems there are still people who have reservations, or perhaps even a fear the capabilities of the Robopin, and maybe for good reason. Once the happy cute surface is gone it is essentially lots of cameras and if placed around a city, this could directly violate privacy if used incorrectly. Having something constantly watching you is no dismissible concept, and many people would be especially dubious when it comes to the potential for a government to use the devices for whatever they want. Fujitsu is a huge business, in 2015 being recognised as the world’s tenth highest IT provider. They are a multinational information, technology and equipment provider primarily. Typically they are known for their production of high quality computing products. The business has an estimated 159000 employees currently in its ranks, it also happens to be the third oldest IT business in the world just behind Hewlett Packard and IBM. Previous How Have Boston Dynamics Improved Atlas Even Further? 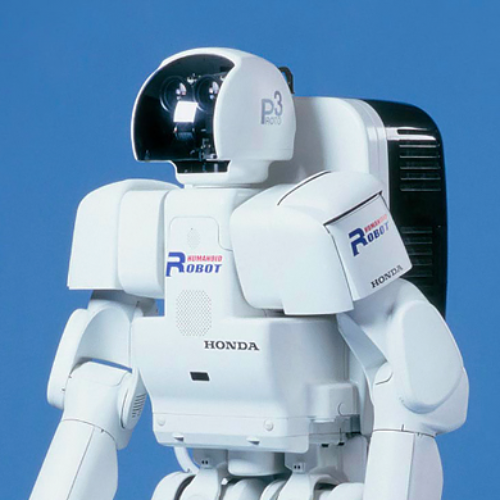 The P-series is a chronological progression of prototype humanoid robots as developed by Honda. 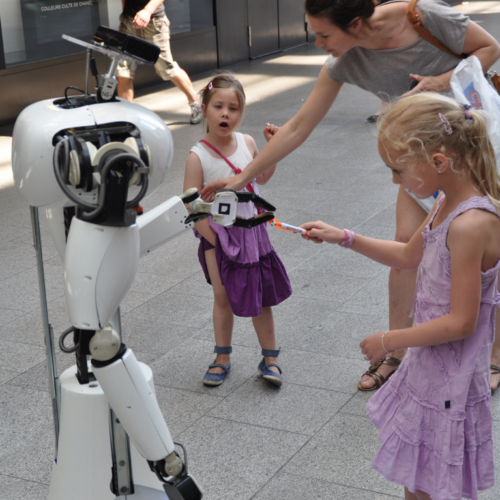 The research conducted allowed the eventual creation of ASIMO, about which we wrote some time ago.